It’s no secret that recruiting tech talent is harder than ever. Finding prospective candidates for their open jobs. Qualifying that those candidates have the skills and expertise to excel at your company. Actually engaging those candidates in a conversation about potentially joining your team. In the past, tech recruiters turned toward sourcing sites like LinkedIn for help in all three areas. But, as you probably already know, the days of relying on sites like LinkedIn for sourcing and engaging with developers are over. With 95 percent of recruiters globally using LinkedIn to source talent, the well is drying up — fast. No insight into their experience. No idea of their real skills or expertise. Just a history of companies and job titles. And even if you find the “perfect” developer on a site like LinkedIn, engaging with them is a whole different story. Luckily, tech recruiters have an alternative source for finding and qualifying good developers: GitHub. Developers launch a profile and then create projects — called repositories — or contribute code to projects of interest. For the people on GitHub, the site acts as a social network, portfolio, and workspace all-in-one. For recruiters though, GitHub is a gold mine of tech talent that extends far beyond what other job sites like LinkedIn or Indeed can offer. Find developers who aren’t on LinkedIn or whose profiles are too sparse to understand their experience. Evaluate their code to ensure they have the skills necessary for your open job. But, the problem is that there’s really not an effective way to search GitHub. Most tech recruiters today use Boolean or X-ray searches in Google to scan GitHub profiles for dev talent. GitHub profiles only show repositories owned or forked by a developer. A developer’s profile on GitHub will only display coding projects they created themselves or that they copied (or forked in GitHub lingo) from another developer. As a tech recruiter, this is a problem because anyone can fork a repository. You could go create a GitHub profile today, copy a repository created by a top developer, and have it represented on your profile without contributing a single line of code. In other words: just because a repository is on someone’s profile doesn’t mean they actually have the skills you’re looking for. GitHub profiles don’t show the contributions developers make to existing projects they don’t own or haven’t forked. In 2017, GitHub developers made 1 billion public “commits” — or code updates — across 25 million active repositories. Many of those contributions happened within some of the largest repositories on GitHub where users add code directly to the project without ever forking onto their own profile. And if you’re running GitHub Boolean searches in Google, you’ll never find them. And instead, finding many developers who did little more than copy the work of another developer over onto their profile. Can’t I just search the repositories themselves to find the contributors I’m looking for? But it’s a flawed process at best (and a complete waste of time at worst). First of all, searching repositories takes a ton of time. It’s a long process of combing through often hundreds of different profiles to find the ones contributing code that’s relevant to your team and the open position. But worse than that is the incomplete view of a developer’s background that comes from searching repositories. You might find someone who made valuable contributions to a relevant repository, but GitHub will only show you their contributions to that one project. That means you’re completely missing out on other key contributions that could help you and your hiring manager qualify the candidate’s skills and experience level. Today, we launched a preview of our new GitHub Search designed to help tech recruiters unlock the power of GitHub for sourcing developers. I know, we’re excited too. #1. Uncover hidden talent and gain a competitive edge. With 21 million active developers as of 2016, GitHub is home to the biggest group of tech talent on the web. But, surprisingly few tech recruiters consistently utilize the platform. A recent survey from Dice found only 31 percent of tech recruiters use GitHub as their primary sourcing tool. That means you can use GitHub to benefit both from better access to more talent and less competition from other recruiters. #2. Get a complete view of a developer’s skills and experience — including actual coding examples. Most existing GitHub search tools point you to either a developer’s profile OR a repository where the actual code samples exist. The problem is, developer profiles alone on GitHub aren’t that much more helpful than what you’d find on LinkedIn. Sure, I can see some of his contributions to repositories he owns or has forked. But I have no idea what other contributions he’s made. And that makes it tough to gauge his skill level on specific languages or how his contributions stack up to other developers. The only way to get a complete understanding of his expertise would be to comb through the 67 million repositories on GitHub. And I’m sure you’ll agree: no one has time for that. SeekOut’s GitHub Search solves this problem by bringing together a developer’s experience and expertise into a single profile. No more wasting valuable time digging through repositories for relevant samples while trying to compile a work history at the same time. We brought together the GitHub profile and repository databases and combined that information with the developer’s public profiles to add work experience when possible. All of that information makes it easier to find the right potential candidates to send to hiring managers. How do I actually find those profiles to begin with? #3. Search GitHub the same way you search for candidates on other sites. Just because there’s a lot of talent on GitHub doesn’t mean it’s made to be an easy sourcing tool. Which is why we built SeekOut’s GitHub Search to function just like the sourcing tools you use every day. 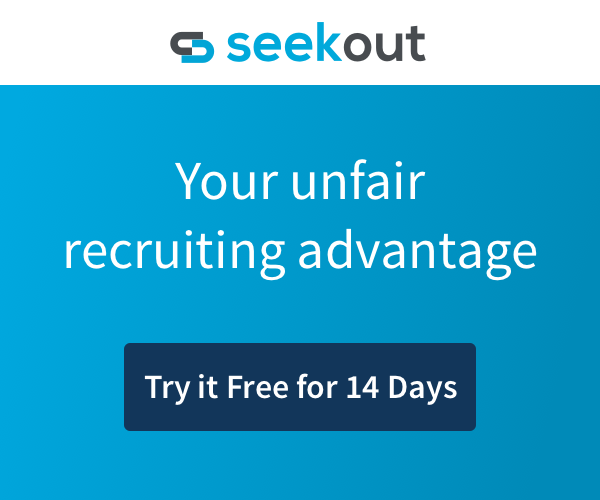 SeekOut supports a wide-range of Boolean functions and a number of filters for narrowing your candidate pool and identifying diverse talent. Our power filters allow you to narrow the search to a specific area of expertise like front or back-end development, machine learning, or full-stack engineering. Each of these filters is actually a complex query combining relevant keywords, titles, languages, and repositories behind the scenes. The “Coder Score” ranks a developer’s abilities on four levels from “Beginner” to “Master” based on their actual GitHub contributions. That way, you can easily eliminate under or over-qualified candidates from your search. In combination with our 20+ existing filters, these three filters make searching for talent on GitHub easier than ever. #4. Speed up your interview process. Admit it: you’ve submitted a candidate before without really knowing whether they had the necessary skills for the job. The truth is, it’s not really your fault. With so little information on developer profiles and no real way to verify candidates have the technical skills, many tech recruiters end up throwing stuff against the wall and seeing what sticks. But, as I’m sure you’ll agree, this kind of recruiting strategy ends up being a waste of time for everyone involved. The average interview process in the U.S. takes 23 days according to Glassdoor. The same study found that presentations — like whiteboarding or a coding test — can add up to four days to that timeline. SeekOut’s GitHub Search helps hiring managers qualify candidates based on real code and cut out time-intensive steps in the interview process. Rather than engaging candidates you’re unsure about and wasting valuable time, you can send your hiring managers relevant code samples to evaluate before you ever contact the candidate. #5. Get more responses from candidates. I’m sure you know that a more personalized message can make a huge difference in your response rate. And this is especially true when it comes to tech talent. The shortage of dev talent today means developers hear from a lot of recruiters. This article from The Atlantic shows just how bad it can be. So, if you want to catch their attention, you’re definitely going to need to take a more personal approach. And the data offered by SeekOut’s GitHub Search enables you to do just that. I noticed you’re the #14 contributor on the GoLang repository — impressive stuff! Our development team is looking for some GoLang experts and our manager was impressed with the code samples you have on GitHub. Any interest in discussing a role at our company? And, because SeekOut provides access to verified email addresses directly on our platform, you can trust that your ideal candidate will actually see your email (rather than having it auto-direct to spam like developers do with LinkedIn messages). The preview of SeekOut’s GitHub Search is now live and available as part of our 14-day free trial. Check out everything SeekOut has to offer today. Anoop is Co-founder and CEO of SeekOut. He started SeekOut after a 20-year career at Microsoft which started with the acquisition of his first startup, VXtreme. During his tenure, Anoop started and was the Corporate Vice-President of the multi-billion dollar Unified Communications group in addition to serving as Technical Assistant to Bill Gates and earning the title of Distinguished Scientist in Microsoft Research.